Here is breaking news and events from Maggie’s List. Open to make sure you don’t miss the latest! Candidate Casey Lucius (CA-20)will be the honored guest for this event! Raised in Ohio with family that lives in the state, Casey is thrilled to be our Honored Guest. The Maggie’s List Congressional Partner Program is one of our keys to success as an organization. When members of Congress become a Congressional Partner, it sends an important and very credible public message about their support for conservative women in Congress. As an elected leader, their involvement is essential for Maggie’s List ongoing success and their tangible commitment to women in leadership makes a tremendous difference in connecting with women voters and filling the gender gap that the left leverages at every opportunity. We take great pride in our work of helping conservative women get elected to office and with the platform of a congress member, our message is able to be spread to much further depths. It is with much excitement and anticipation that we announce the new 2016 Maggie’s List Congressional Partners. 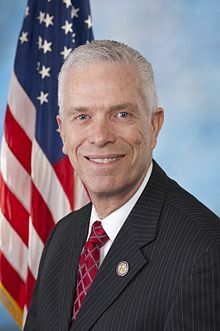 As a retired U.S. Air Force Officer and a member of the House Energy and Commerce Committee and House Budget Committee, Congressman Bill Johnson recognizes the need for electing more fiscal conservatives to Congress. We are excited to have him partner with Maggie’s List in our efforts to elect strong conservative woman to Congress. 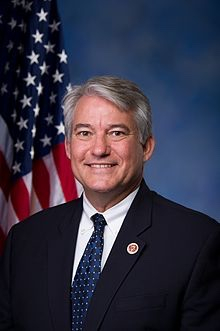 Within the House Energy and Commerce Committee, Congressman Johnson serves on the Subcommittee on Communications and Technology, Energy and Power and Environment and the Economy. Welcome Our New Maggie’s List Illinois State Chair Laura Anderson! 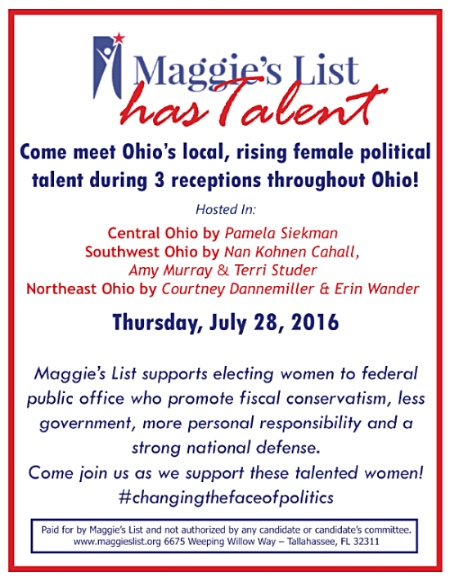 It is with great excitement to welcome another new State Chair for Maggie’s list in this week’s newsletter. Over the past 5 weeks, we have welcomed five new chairs looking to spread the message of Maggie’s List across their state. This week, we welcome Laura Anderson as the new Illinois State Chair! Laura spent the first 16 years of her career working with the Illinois Legislature in various policy and management positions. She later became Chief of Staff for Lee Daniels, former Speaker and Leader in the Illinois House of Representatives. In these years she was involved in the state budgeting process and legislative affairs, including issues relating to human services. Laura is a frequent speaker on not-for-profit organizational, board development and fund raising topics. She has more than 25 years of experience securing private and public financial support for a variety of organizations. Laura has blended her years of experience in event management and fundraising from creating & executing a Millennium event for charity that raised $1.2 million at Navy Pier to other small, intimate events with a major donor focus. Laura has served on several not-for-profit boards including the ARC of Illinois, the Illinois Channel and various women’s business development groups. She is married to Chris Kachiroubas, Clerk of the DuPage County Circuit Court and has three wonderful children, Alex, Chandler and Tess. Copyright © 2016 Maggie's List, All rights reserved.